started his journey in life on July 10, 1998, born to parents Permetha Rudy Milton and Leroy Dominique Williams on Hilton Head Island, S.C. Dominique began his education at Mary's Christian Day School where he was instructed by Ms. Mary Green, who not only instructed him with his formal education but with a solid foundation of Christ's teachings. He accepted Christ at an early age and was baptized at Central Oak Grove Missionary Baptist Church. 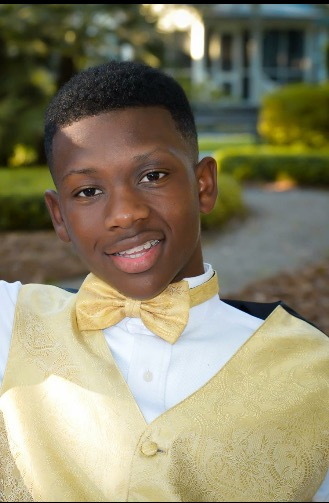 He continued his education in the Hilton Head public schools, where he was a member of the drumline, JV basketball and football teams. He later attended Robert W. Groves High School in Savannah, Georgia, beginning his sophomore year, where he participated in track and field and recently made the football team. with the gift of music through the tutelage from his loving father. His passion for music was evident in his involvement and musicianship. He played and sang at several churches and local venues in the Lowcountry and was a regular participant at the Hilton Head Jazz Camp. Dominique participated at the SC State Congress of Christian Education for several years in the orchestra and drumline and even went to the National Convention as part of the drumline. Dominique was a tenacious musician with a caring and loving heart. He loved playing the drums and his dream was to become a professional drummer. His music skills embodied the spirit of a little drummer boy with a kindred soul devoted to his family and friends. Dominique loved playing the drums and singing. He dreamed of one day becoming a professional drummer. by the unvented anger of a fellow student and ultimately a senseless act of gun violence. A scholarship has been established to honor Dominique's memory by providing assistance to students who wish to pursue an educational career in music and/or performing arts. It is the hope of Dom's family and friends that through the educational support provided by this scholarship fund, students will be assisted in their careers and better relationships will be fostered between parents, school administrators, community leaders, and the students. Recipients of this scholarship will need to demonstrate their desire to use their artistic talent to inspire shared hope for a safer and better world.